Cacao Nibs are created when cacao beans are roasted, then separated from their husks, then broken into pieces. Cacao nibs are ground into a thick paste called chocolate liquor, which is combined with cocoa butter and sugar to create chocolate. 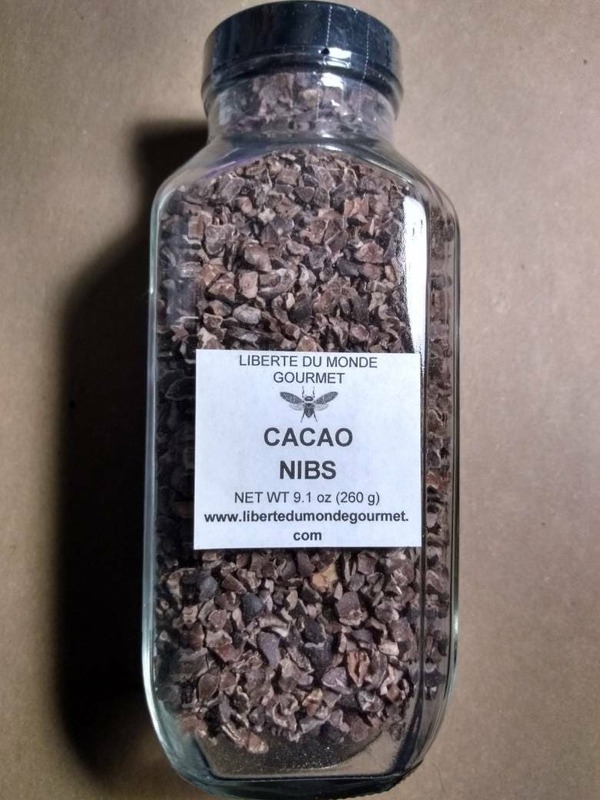 Cacao nibs can be be used to add a subtle chocolate flavor to anything and a soft crunch to baked goods and savory dishes. rub for red meat, simply as a snack. Cacao Nibs contain powerful antioxidants. Even more so than blueberries, red wine & green tea.